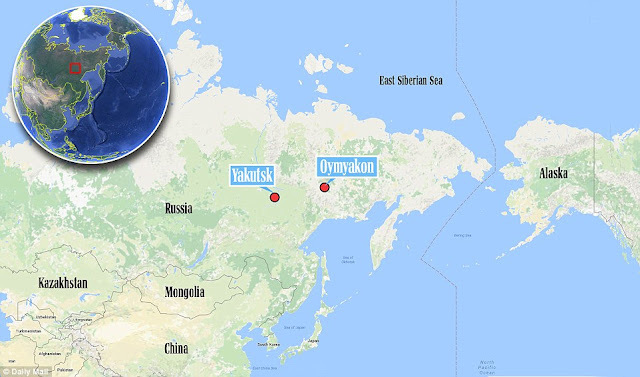 The world's coldest village “Oymyakon” Siberian outpost reaches near-record cold temperatures as thermometer breaks after recording minus 62C. 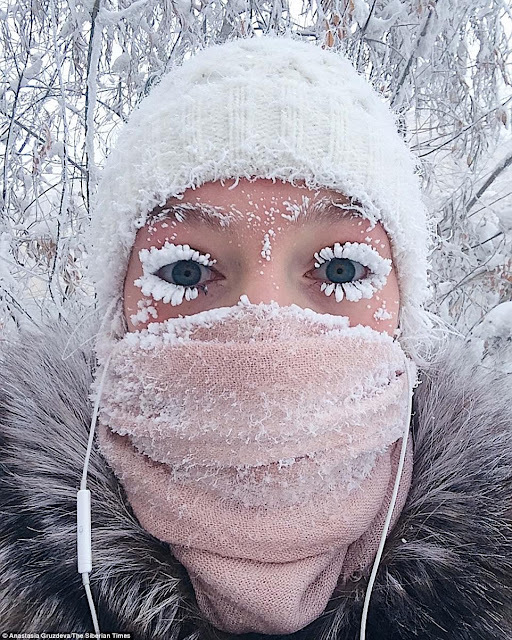 This is the coldest village on earth where the average temperature in January is -50C and inhabitant's eye lashes freeze solid mere moments after stepping outside. 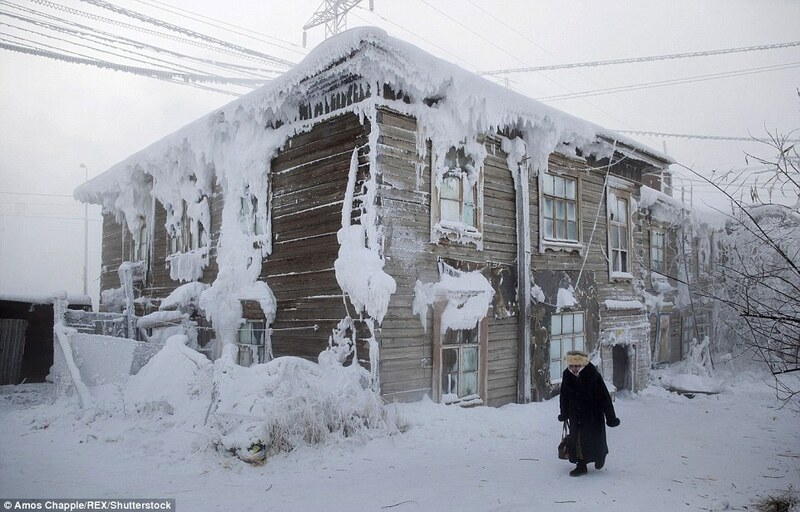 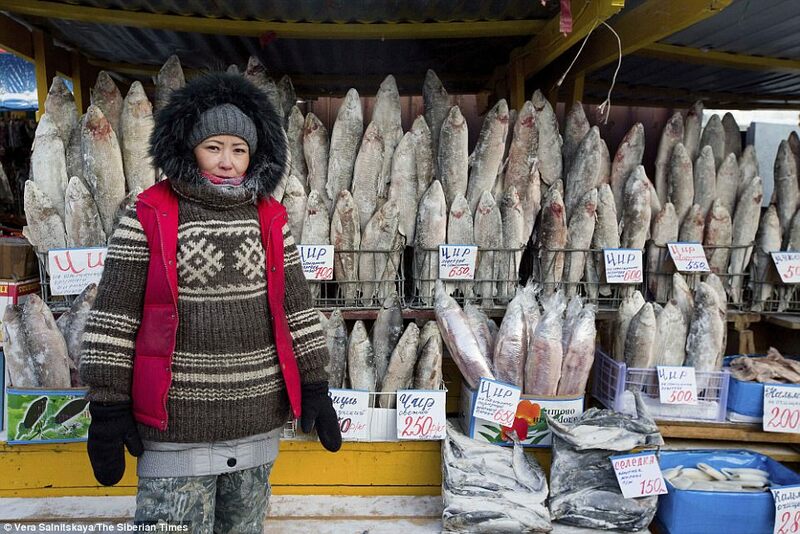 The remote Siberian village is the coldest permanently inhabited settlement in the world. 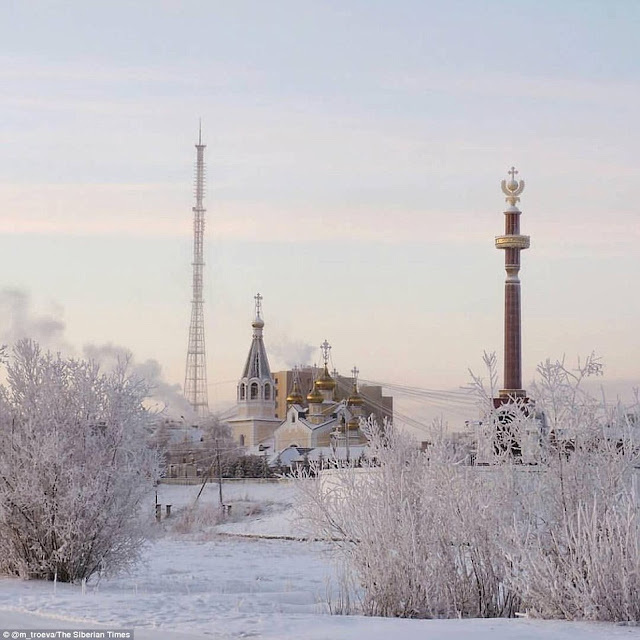 It was so icy in the Russian village that a new electronic thermometer conked out after recording a bone-cracking minus 62C. The official weather station at the 'pole of cold' registered minus 59C, but locals said their readings were as low as minus 67C - less than 1C off the lowest accepted temperature for a permanent settlement anywhere in the world. 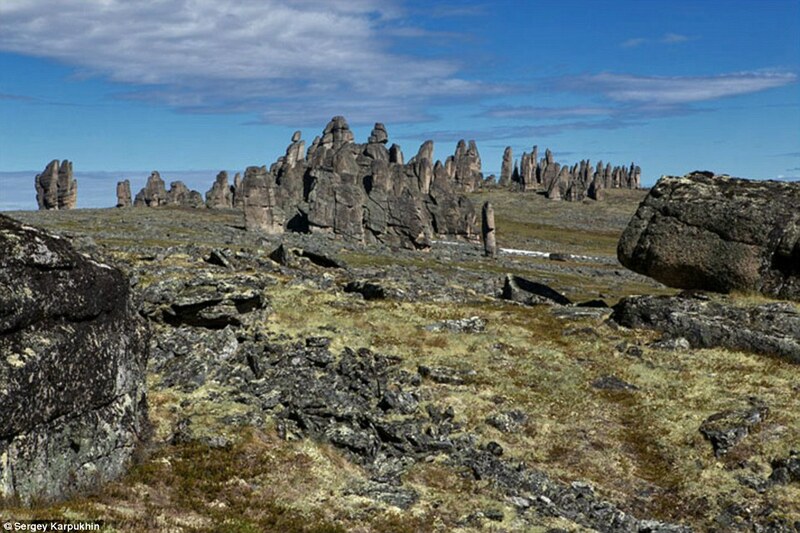 And that record breaking recording was taken in the town back in 1933. 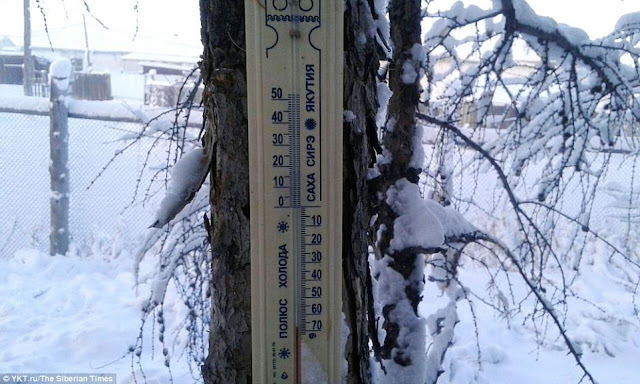 One villager in Oymyakon recorded a temperature of minus 67C, while others agreed that the official reading of minus 59C did not tell the full story. In 1933, a temperature of minus 67.7C was recorded in Oymyakon, accepted as the lowest ever in the northern hemisphere. 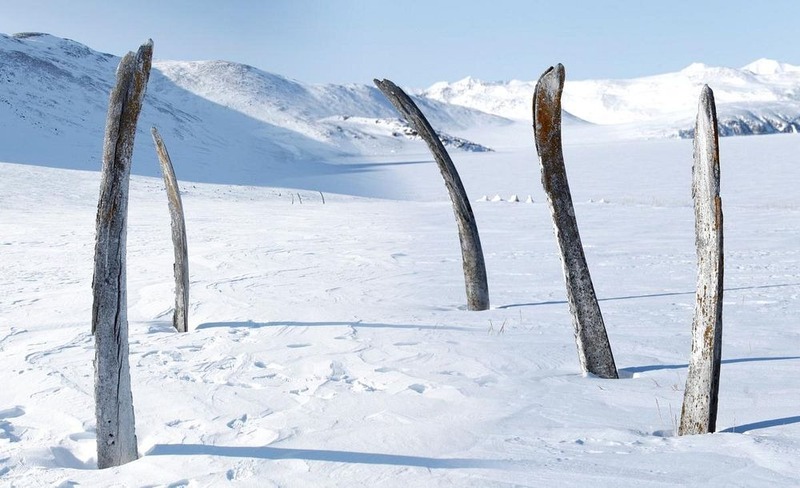 Lower temperatures are recorded in Antarctica, but here there are no permanently inhabited settlements. The digital thermometer was installed last year to help Oymyakon market itself to tourists, but it gave up the ghost at minus 62C. 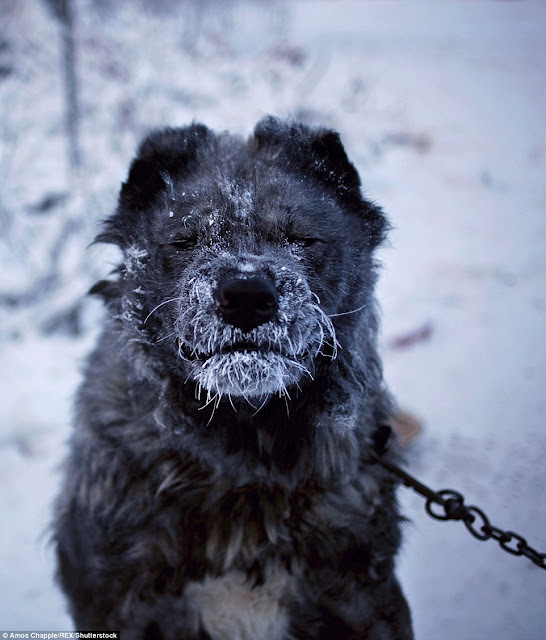 It broke because it was too cold. 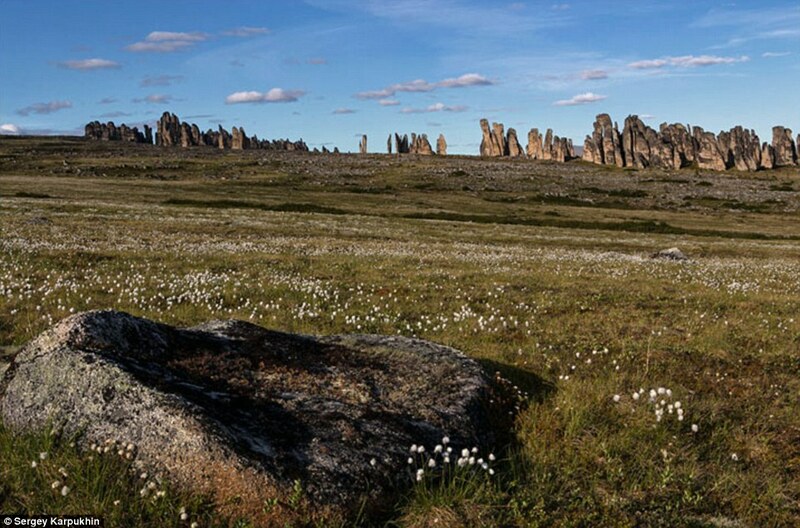 The village is home to around 500 hardy people and in the 1920s and 1930s was a stopover for reindeer herders who would water their flocks from the thermal spring. 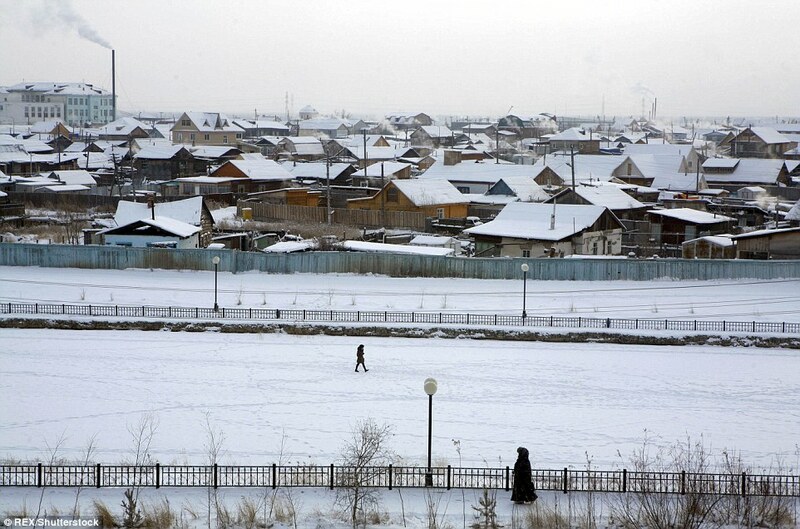 This is how the town got its name which translates as 'the water that doesn't freeze'. 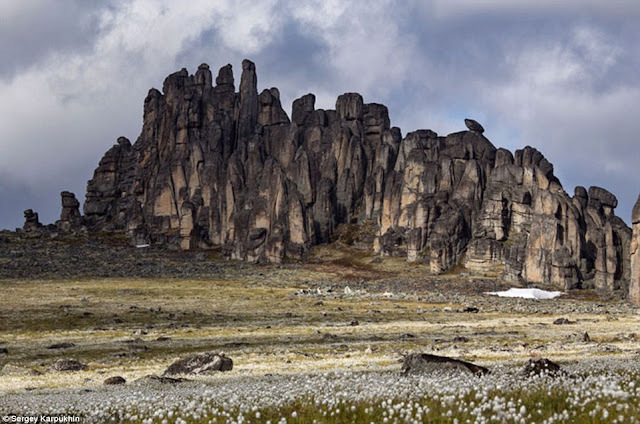 The Soviet government later made the site a permanent settlement during a drive to force its nomadic population into putting down roots. 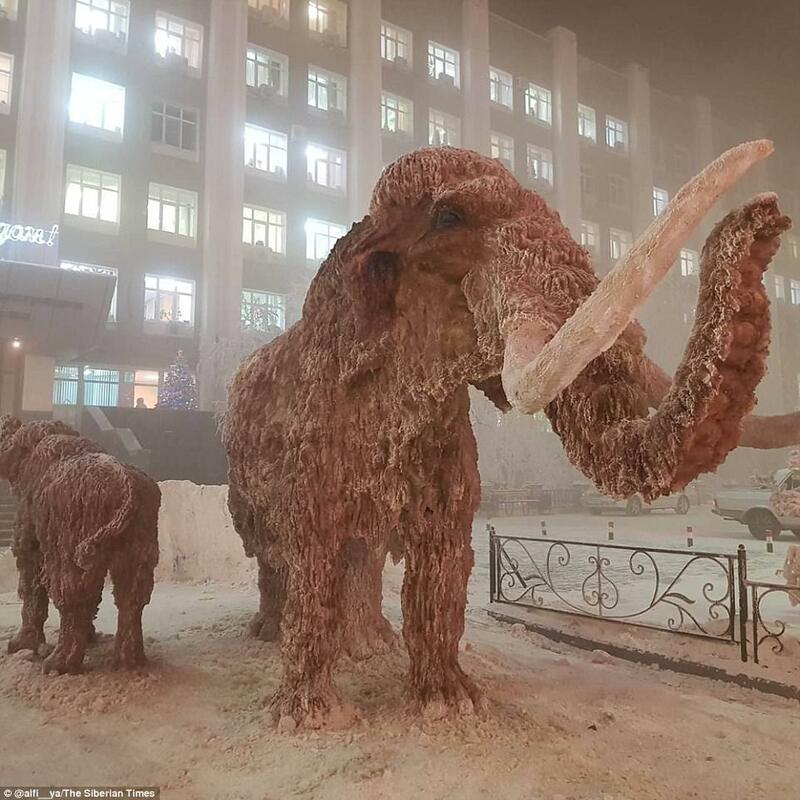 The people daily problems are that come with living in Oymyakon include pen ink freezing, glasses freezing to people's faces and batteries losing power. 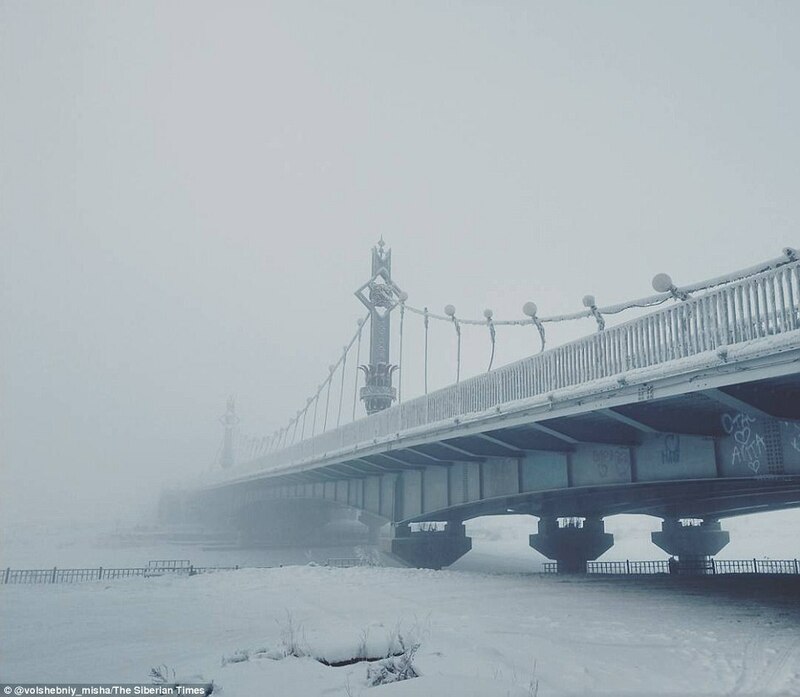 Locals are said to leave their cars running all day for fear of not being able to restart them. Rock solid earth makes burying the dead a difficult task. The earth must first have thawed adequately in order to dig, so a bonfire is lit for a few hours. 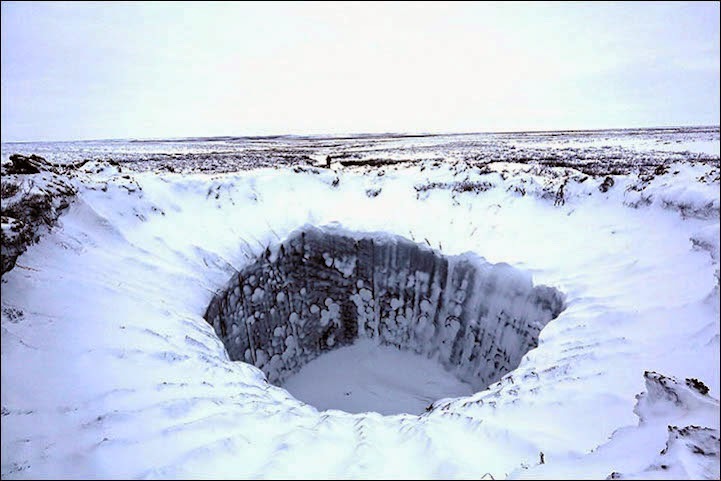 Hot coals are then pushed to the side and a hole just a few inches deep is dug. 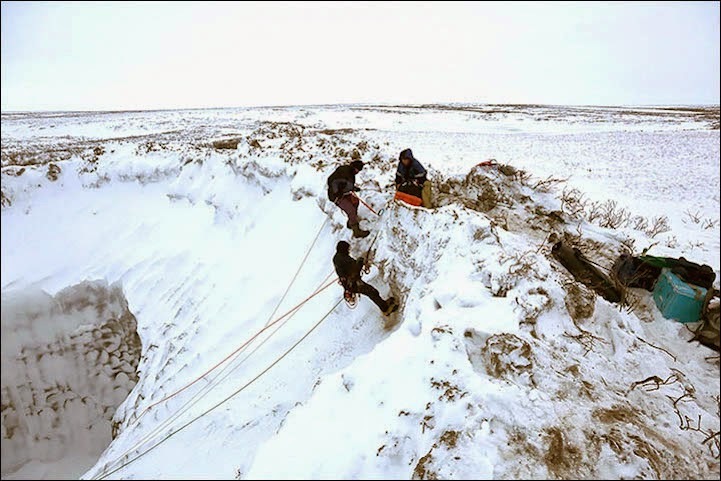 The process is repeated for a number of days until the hole is deep enough to bury the coffin. However, in summer the town can get up to 21 hours of light and temperatures can rise to an average of 73 degrees Fahrenheit in July. 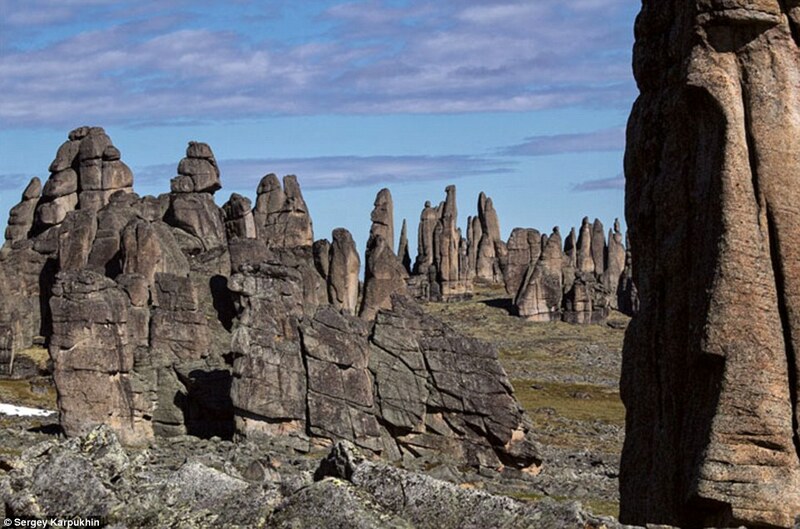 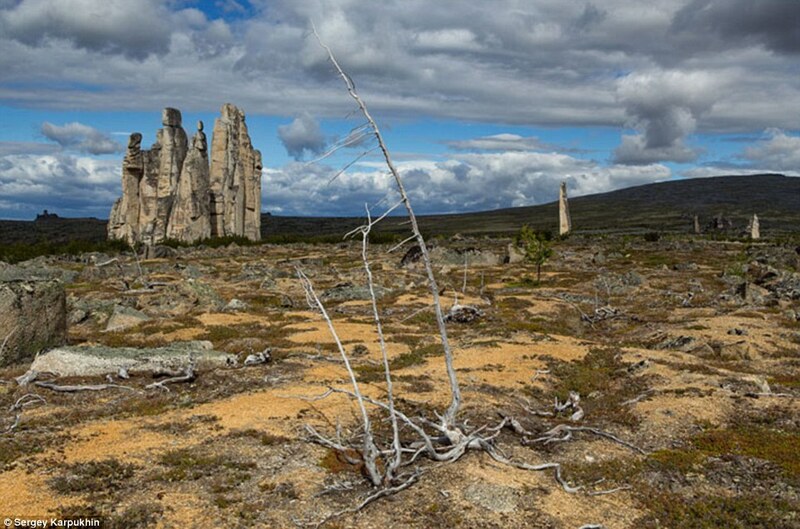 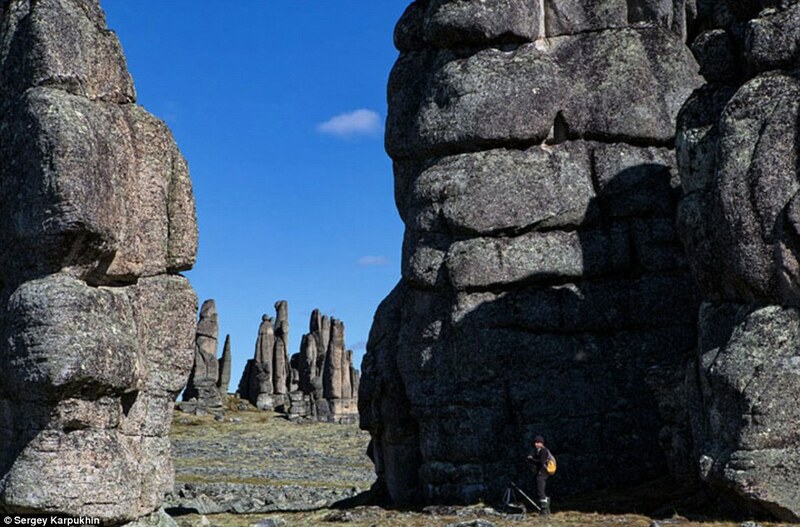 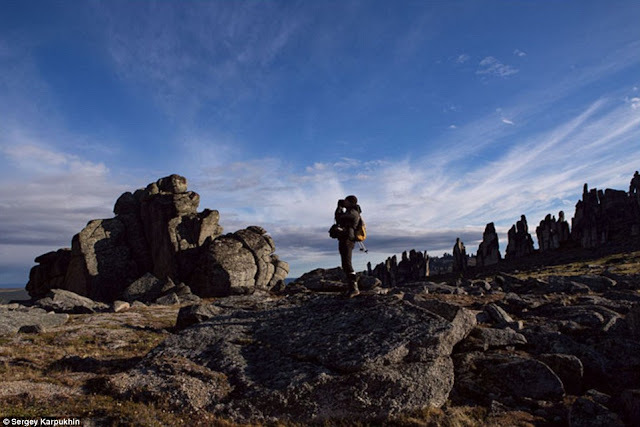 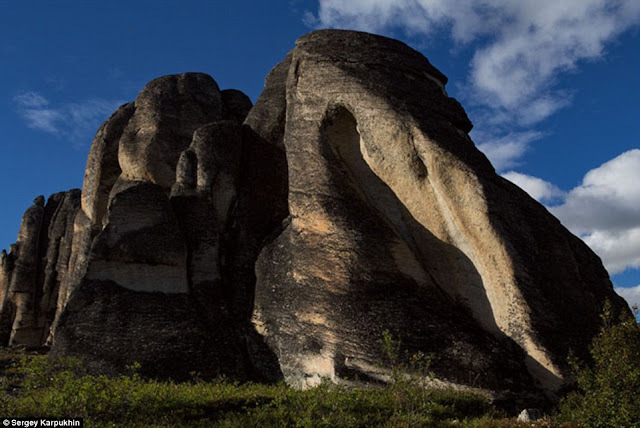 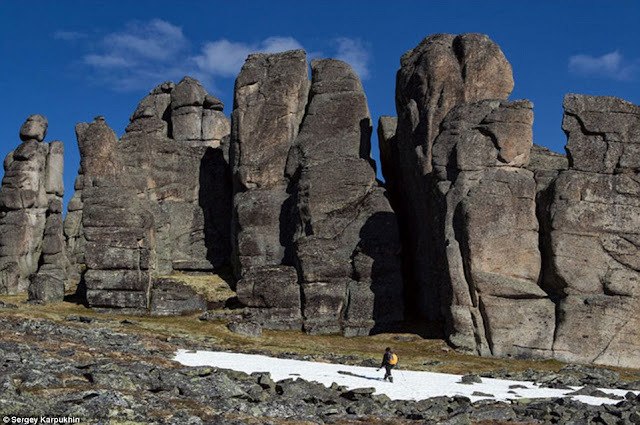 The granite town, a bizarre 65ft-tall rock formations just discovered in Siberia. 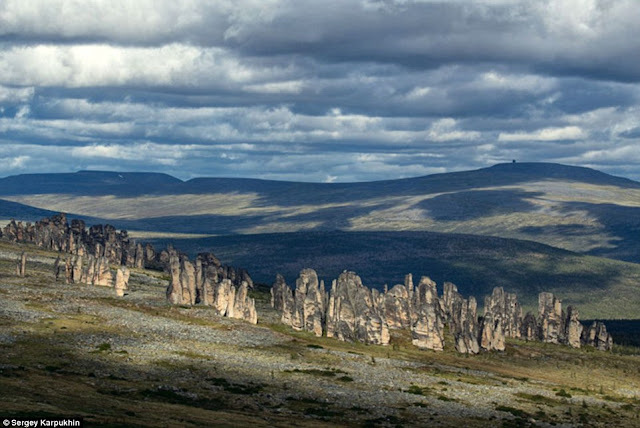 The rocks tower up above the ground, knocking together like granite skyscrapers as they keep watch over the vast Siberian landscape. The magnificent photographs are among the first ever taken of the rare rock formations in the Ulakhan-Sis mountain range - a flawless natural wonder as yet undiscovered by the tourist market. The hint of the impressive scenery the magical destination above the Arctic Circle can finally be put on the map. 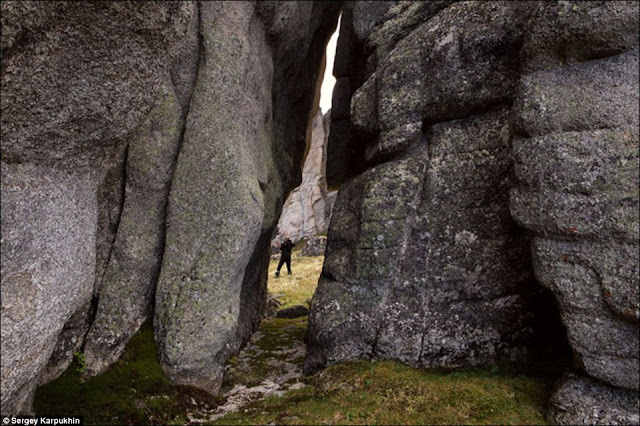 Alexander Krivoshapkin was the first who snapped this magical place. He went there in a helicopter whilst counting wild reindeer herds around Ulakhan-Sis in the north-east of Siberia. Therefore, his photographs are believed to be the first ever taken of the structures, known as Sundrun Pillars. However, in the middle of the bare tundra were buttes some 10 to 20m high up to 65ft, standing in groups and alone, like some warriors on a march, who were suddenly petrified with malicious intent of a local shaman centuries ago or like the ruins of an ancient city, which was inhabited by a hitherto unknown people. 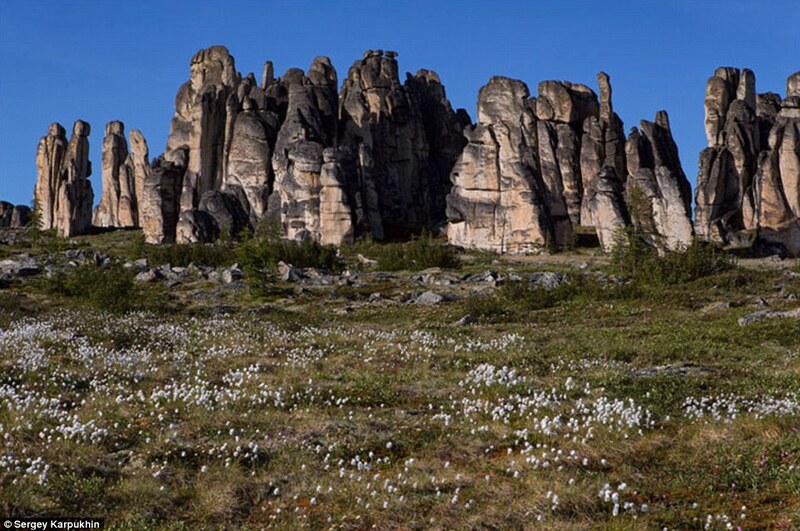 This is one of the most inaccessible and practically unknown areas of Yakutia, the mountain ridge of Ulakhan-Sis. 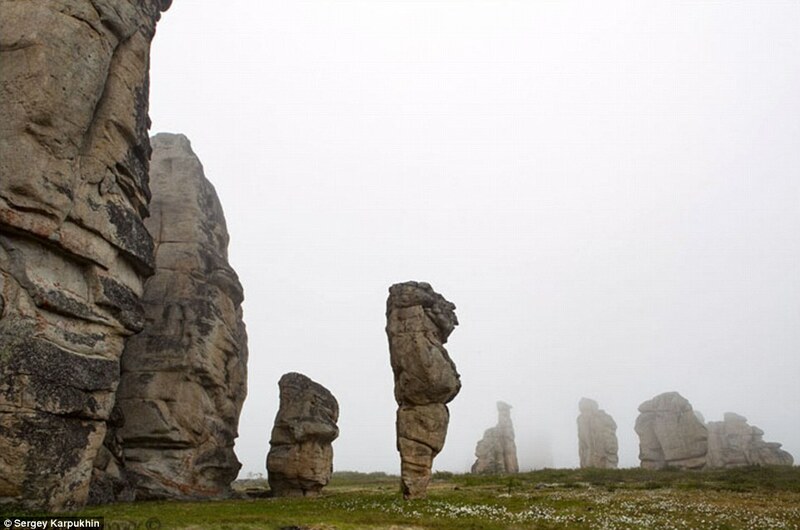 The stone sentries are known as 'kisilyakhi', in the local Yakut language from the word 'kisi' meaning man. 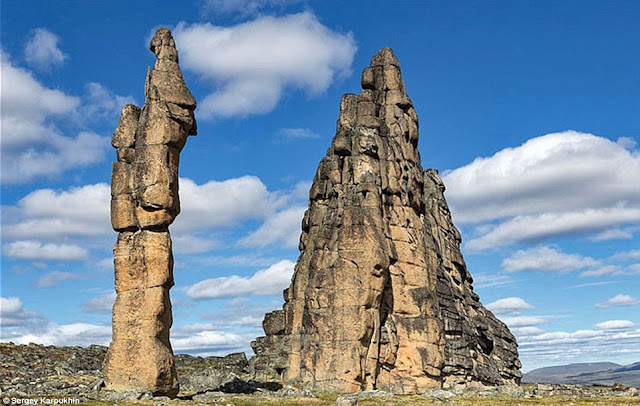 The shapes are believed to have been sculpted by relentless freezing and thawing of the granite and surrounding sandstone. Along the northern shore of the remote Siberian island of Yttygran, in the Bering Sea, is an area recognized as the “Whale Bone Alley” where once the great sea beasts were mass slaughtered and their meat stored by the local tribes. 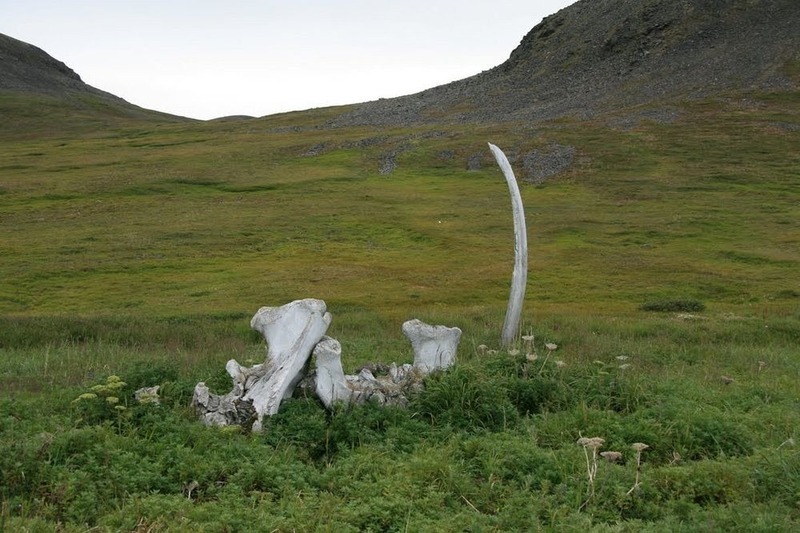 Somewhere 40 years ago, Soviet archaeologists have unearthed dozens of bowhead whale bones, and skulls, which are prudently arranged in the ground spreading more than 550 meters and running parallel to the shore. 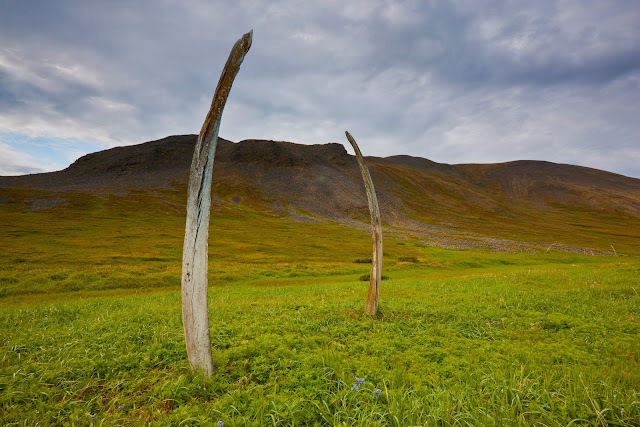 Though, the rib bones are either stuck into the ground or propped up by rocks in a double line to form a sort of alley. 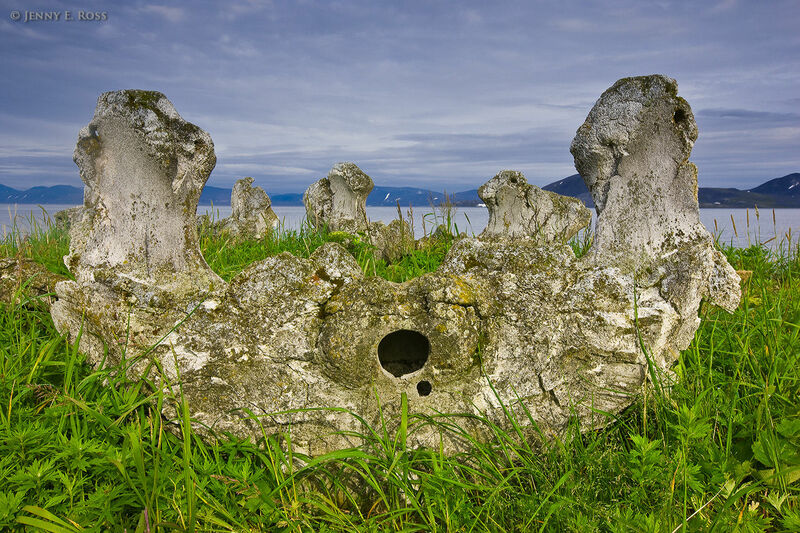 Down the middle of the alley were huge skulls and square pits once thought to have contained tons of meat? 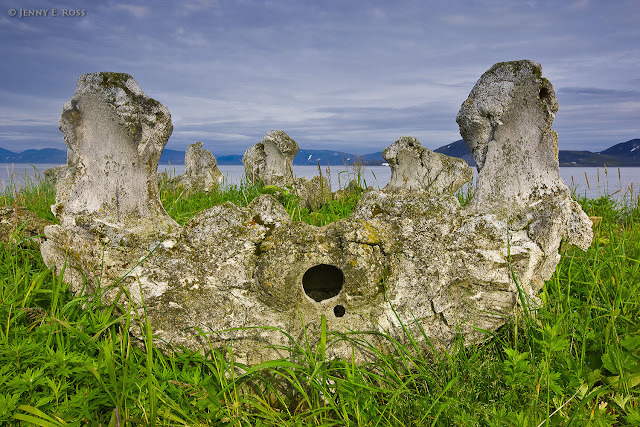 Though, archeologists may be researching too much into the Whale Bone Alley. 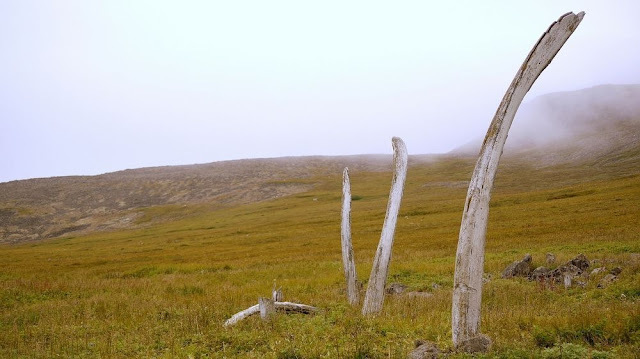 Hence, the local Yupik people believes that the site was nothing more than a place where whale hunters met and jointly butchered their catches, and then they naturally stored whale meat in pits. This simple theory is well supported by the fact that the Yupik name for Yttygran is Sikliuk, which comes from the word Siklyugak, which means "meat pit" in Yupik. 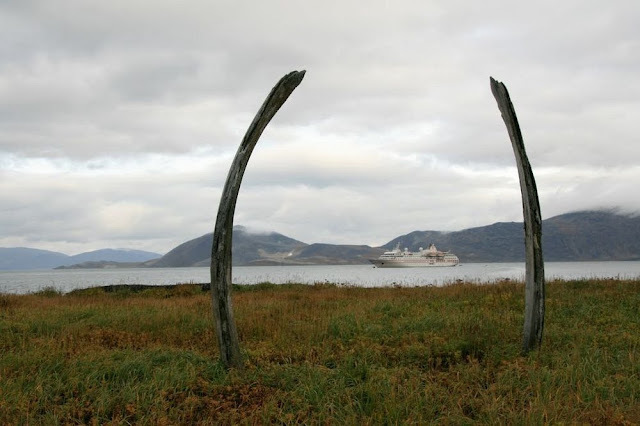 Whale Bone Alley is thought to have been formed about 600 years ago by a cooperative group of native tribes massive bones that were planted into the ground, numerous pits used for storing meat were found with fossilized whale bits still in them. 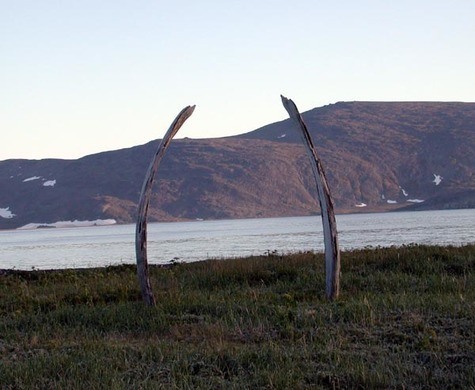 Archaeologists believe that the “Whale Bone Alley” was built as a shrine and sacred meeting place by the Eskimos in the 14th century. Therefore, at that time there was an impermanent ice age, that caused in extended winter and food shortages which could have led to conflicts between Inuit tribes. 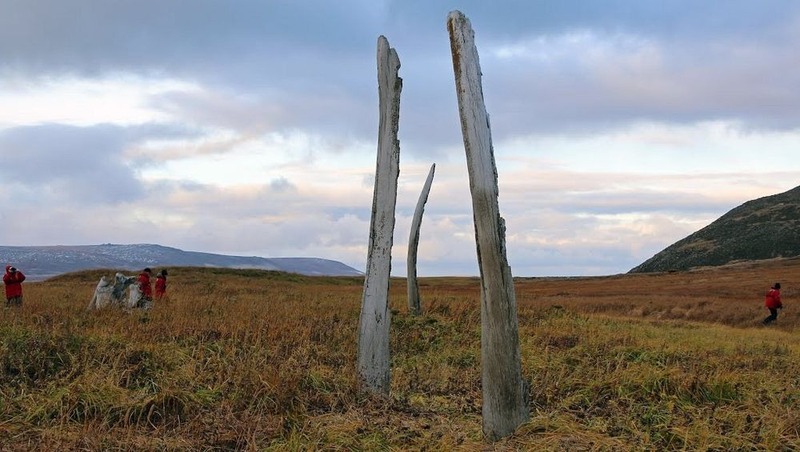 Thus, Whale Bone Alley may have been the indistinct place where they could come together to talk over their problems, take part in sacrificial offerings and store their meat in the square pits that once existed between the bone walls. The overall effect is of a haunting titan's boneyard. 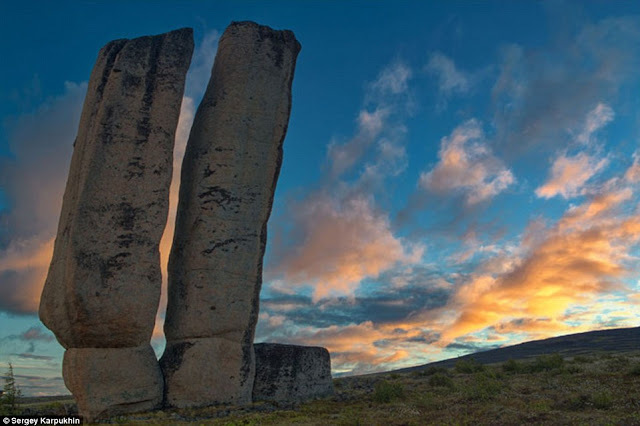 Moreover, many archaeologists and explorers believe that the site was established as a place of mutual worship and ritual for the united tribes. 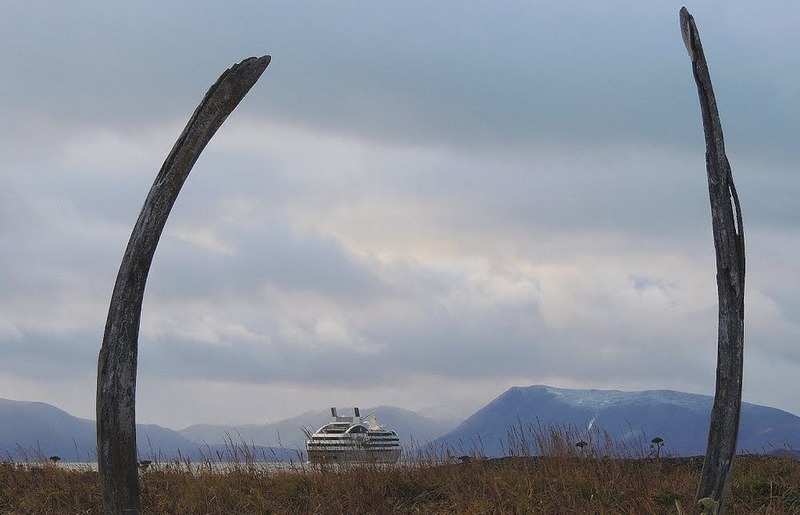 Whatever the history of this place, one thing is sure, the tourists love the area. 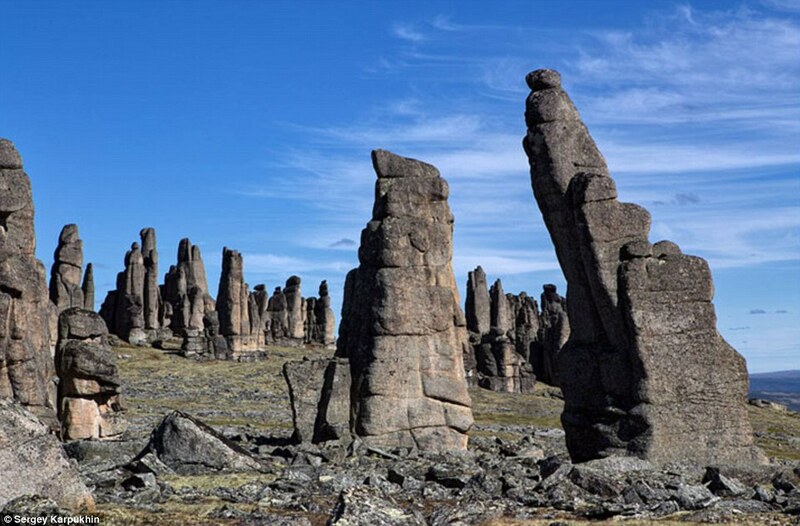 The spectacular bone formations have been enticing myriads of tourists from all over the world each year. 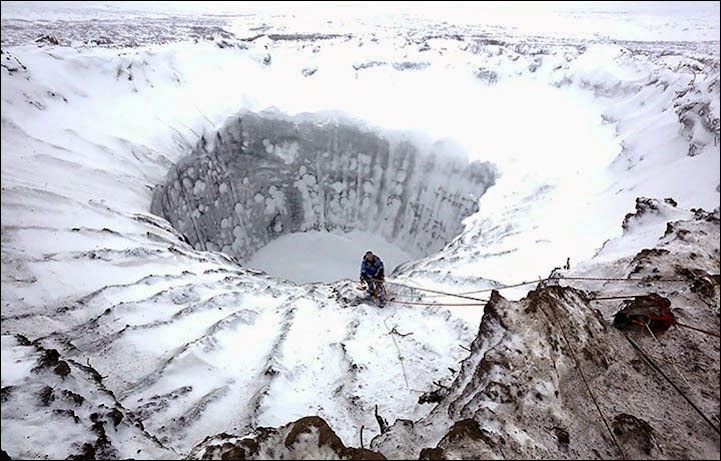 These superb images have released by the Russian Centre of Arctic Exploration capture the poignant beauty of a mysterious crater that made in recent times on the Yamal Peninsula in northern Siberia. 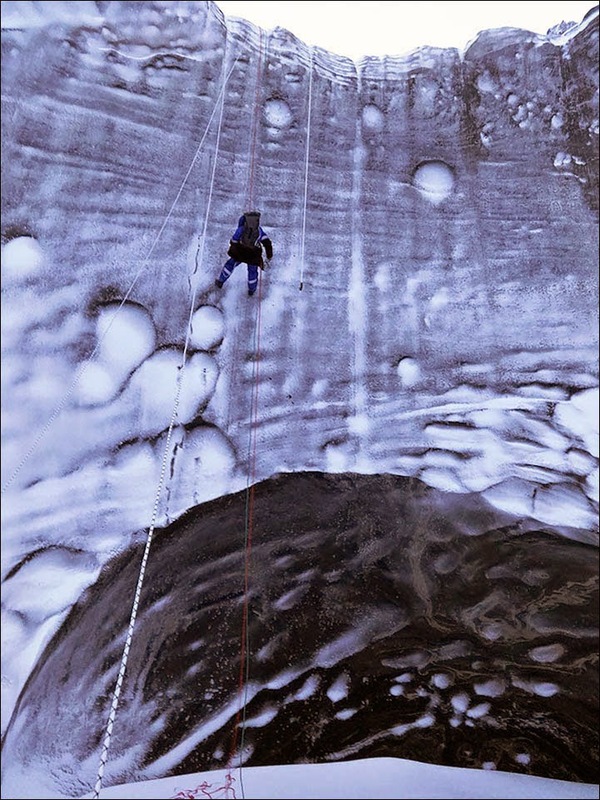 The photographs were taken during an expedition to the gigantic hole in an icy area that locals call “The End of the World," where a team of researchers used climbing equipment to reach the sunken base of the crater for the first time. 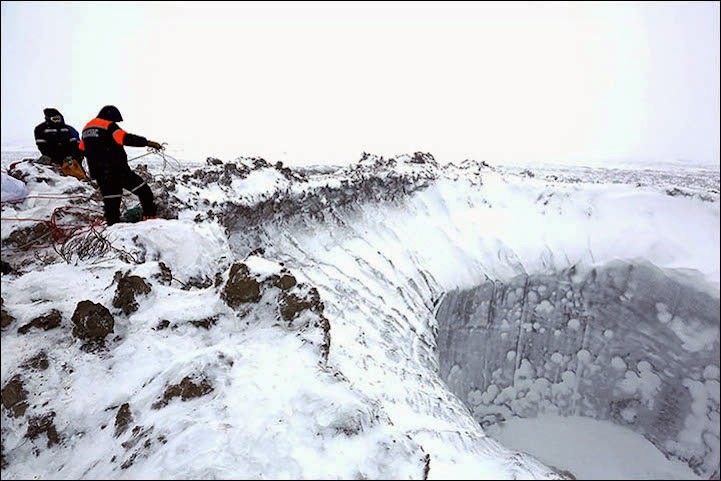 The researchers waited until winter to descend since the hardened ground made it easier to scale 16.5 meters down the funnel of the crater. 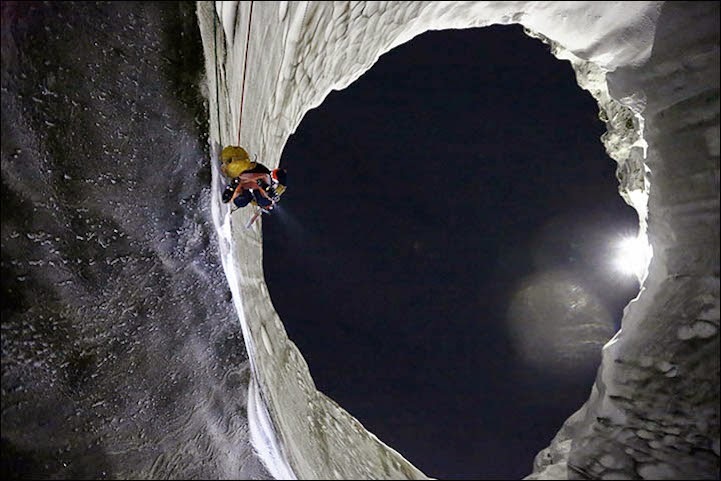 Moreover at the bottom, the experts examined the frozen surface of a lake at least 10.5 meters deep. 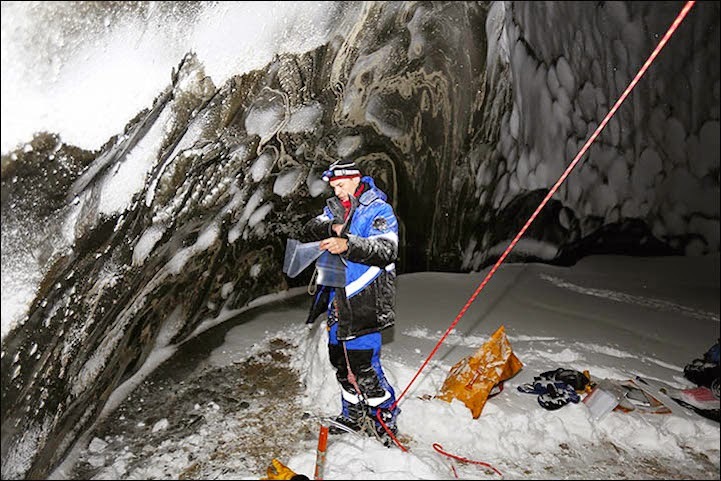 They used probes and other tools to make measurements and record data, which need to be processed before any conclusions can reach. 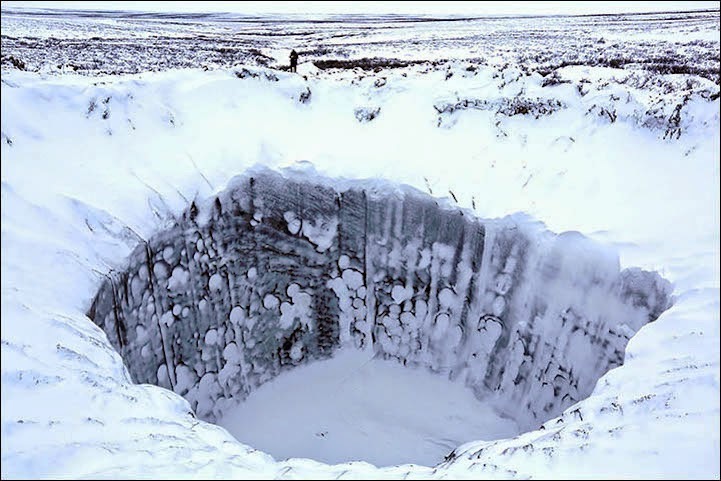 Vladimir Pushkarev says, (Director of the Russian Centre of Arctic Exploration and the leader of the mission) it is too early to verify or deny theories on the crater's formation, including one proposal that climate change caused unfamiliar heat on the surface and below, leading to a release of gas hydrates and a colossal eruption. 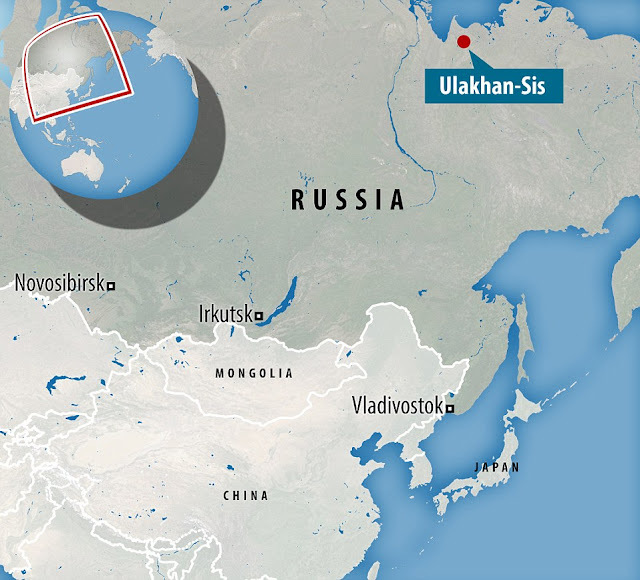 Likewise, Vladimir Pushkarev is wary of drawing conclusions comparing the crater to the eruptions beneath the Atlantic Ocean that caused the Bermuda Triangle phenomenon. 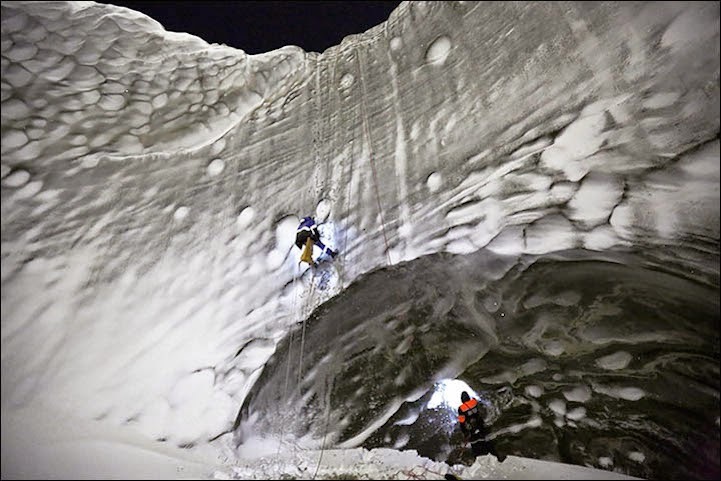 In his words, "As of now we don't see anything treacherous in the sudden appearance of such holes, but we have got to find them accurately to make absolutely sure we understand the nature of their appearance and don't need to be afraid about them.